Keegan took me on a trip to the East Coast with her family. (Can you see me tucked under her right arm?) We visited her old school in Annapolis, Maryland, on the grounds of the Naval Academy. 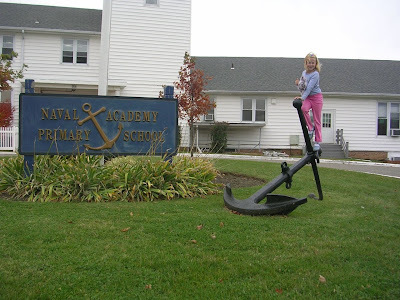 Did you know anchors could be so big! How much do you think it weighs? You can always click on the photo to see details and find me!